Range Rover Running Costs, MPG, Economy, Reliability, Safety | What Car? The Range Rover is an expensive car, and it’s possible to make it much more expensive after just a brief flirtation with the options list. It won’t be a cheap car to run or pay tax on, either, but the P400e is by far the most affordable for a company car user to run: it produces just 72g/km of CO2 (for context, the next closest in the range is the SDV6 diesel at 199 g/km). Private buyers who don’t go completely mad on the options list shouldn’t lose out too badly on depreciation; all models hold their value reasonably well. If you can only stretch to entry-level Vogue spec, don’t worry: even this has plenty of kit as standard, with everything from cruise and climate control to the twin-screen central infotainment system we described earlier. The sweet spot of the range is Vogue SE, which adds more driver assistance tech, heated and cooled semi-aniline leather seats, soft-close doors, 21in split-spoke wheels, a more advanced terrain response system for extra control on tricky surfaces and a more powerful sound system. At the top end of the line-up, Autobiography cars get more lavish materials inside, a massage function on the front seats, executive-class rear seats and an opening panoramic roof. This is also the entry-point for the supercharged V8 engine. 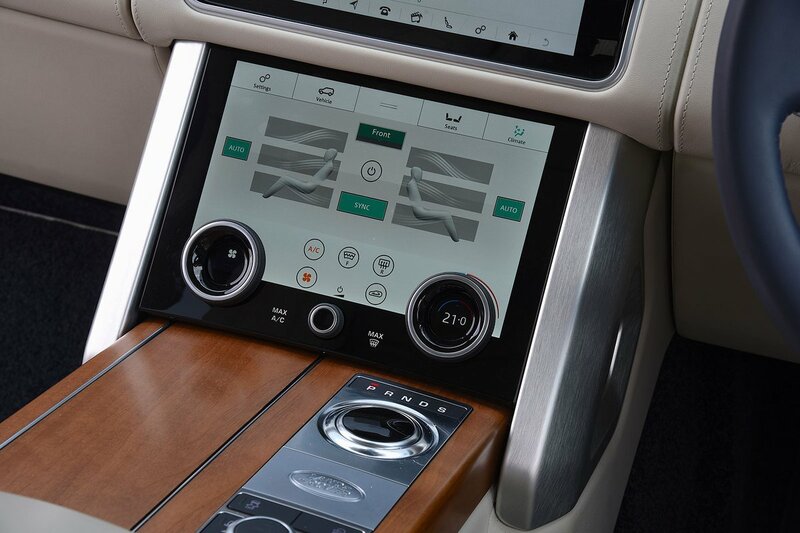 The SVAutobiography model, meanwhile, gets everything on the options list thrown at it. It features a flagship Meridian audio system, quilted leather semi-aniline seats, a rear seat refrigerator, mohair mats with leather bindings and deployable leather-trimmed tables on the front seatbacks. The more powerful SVAutobiography Dynamic, which offers a lower ride height and special side vents and front grille. Despite the rugged reputation of the brand, Land Rover cars don’t actually have a stellar reputation for reliability. Our 2018 reliability survey backs this up because the brand finished in an awful 30th overall – just one position off the bottom. 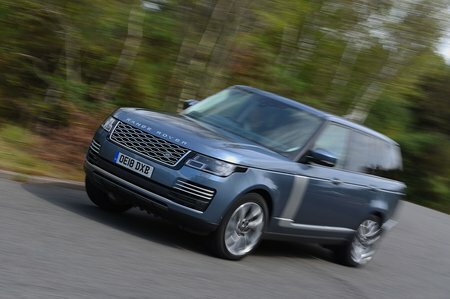 The Range Rover also came last in its class – hardly a confidence-inspiring performance. Land Rover provides a three-year/unlimited mileage warranty on every car it sells on the UK, which is a match for BMW and Mercedes and beats the 60,000-mile cap imposed by Audi. You also get Europe-wide breakdown cover for the duration of the warranty. 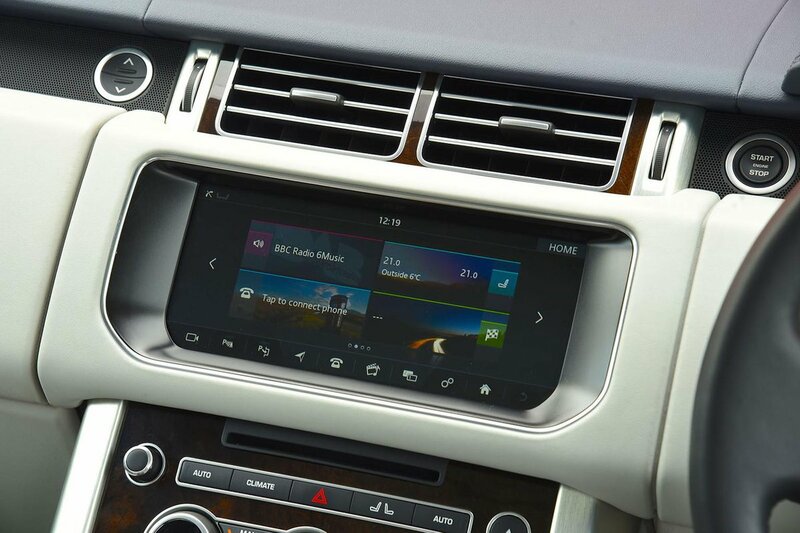 All Range Rovers have highly sophisticated electronic systems to keep you on the straight and narrow, and that applies whether you’re on an A-road or venturing into the wilderness. The car received a maximum five-star safety rating from Euro NCAP, although the organisation was less enthused about its performance in collisions with pedestrians. It’s also true that Euro NCAP tests have become more rigorous in recent years, and the Range Rover might not fare so well if re-tested today. You get automatic emergency braking (AEB) and a lane departure warning as standard, while the options list includes blindspot monitoring and lane-keeping assistance. The anti-theft technology is state of the art, too, prompting Thatcham Research to award the car the maximum five stars for resisting being stolen and four out of five for resisting being broken into.